Grandma Miller’s Pies and Pastries is a very small, family-run company with very high standards. Their products are made in Vermont with only the highest quality ingredients. The fruit pies are hand-made and frozen moments after being filled. They are delivered to us ready to bake so you can enjoy the freshest experience possible. The coffee cakes and Nut Pies arrive fully baked and ready for you to enjoy. And the Chicken Pot Pie packs 3lb of white meat chicken and vegetable filling in a flaky crust for a quick, delicious dinner option! Kelly’s Four Plus™ Granola starts with four basic ingredients: 100% whole grain oats, expeller-pressed canola oil, honey, and maple syrup. From there, they add different ingredients including nuts, dried fruits, and dark chocolate to make each flavor unique. Their goal is to deliver you a fresh, simple, delicious, and healthy snack that you can eat anytime. It’s granola the way you like it! *All of their granola is gluten free and non-GMO. And we sell exclusive 16oz packages in our sale! DID YOU KNOW? 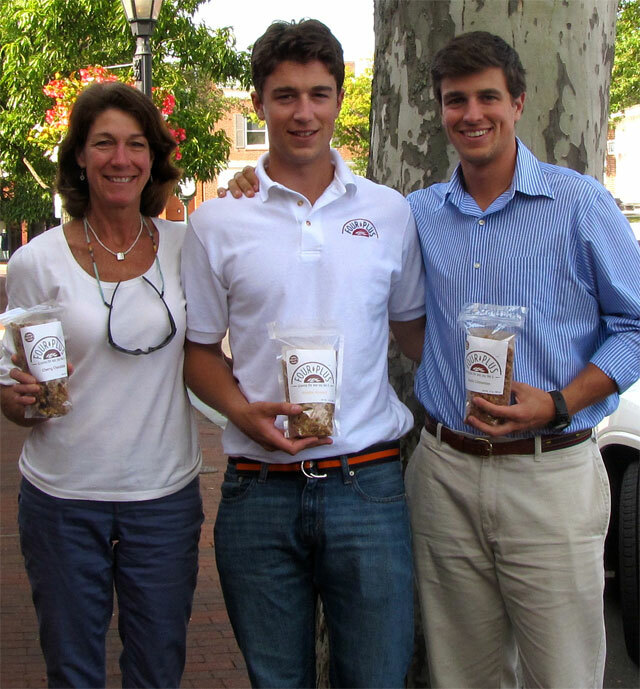 Kelly’s Four Plus™ Granola got its start at New Canaan Crew and Maritime Rowing Club where the Kelly boys learned to row, later coached, and continue to train. Cordy Kelly sent her homemade granola to regattas and was soon fielding questions from parents and rowers who wanted to buy their own supply. From the first sales out of our boathouse, Kelly’s remains not only great energy and recovery food for athletes, but a granola for anybody who wants a healthy snack!